It’s come to my attention (via Ain’t It Cool News) that BBC-1 in the U.K. is now running The Sarah Jane Adventures, a Doctor Who spin-off series starring Elisabeth Sladen. 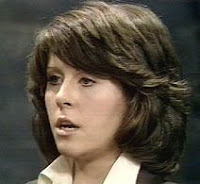 For the uninitiated, Sarah Jane Smith (Sladen) was a long-running companion of the Doctor’s for four seasons back in the mid-1970s, serving alongside both Jon Pertwee (Doc #3) and Tom Baker (Doc #4). She was also the first companion I ever saw and, in my humble opinion, the most memorable and certainly most adorable. When she left the series in 1976, I was devastated. Last year, Sladen reprised her role with David Tennant, the tenth and current Doctor, in a charming episode of Doctor Who titled “School Reunion,” about which I wrote a glowing tribute here. And even though I know this new Sarah Jane spin-off is aimed at a younger audience than the original, I’m dying to watch it, and I anticipate seeing it eventually on either SciFi Channel or BBC America. 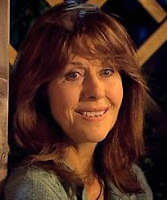 And here’s another thing: even more than thirty years later, Elisabeth Sladen is still achingly adorable.